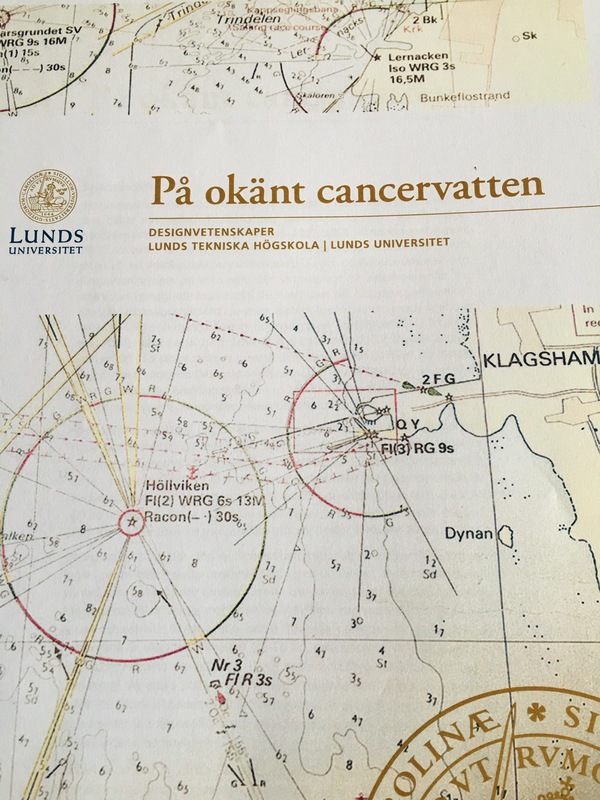 I downloaded this report “På okänt cancervatten” a while ago, but I’ve only been able to read short sections at a time. Not because I haven’t had time to (which is otherwise a common reason for my fragmented reading habits) but because it hurts. Navigating unknown cancer waters has been part of my life this year, since my father was diagnosed (or rather the diagnosis process began) just before Christmas 2015. And it’s a hard journey, that requires a special set of tools to navigate. The study was performed by Ulrika Sandén and can be downloaded here. Ironically, I had been working with a group of lungcancer patients myself to capture their experiences and the problems they ran into as part of the research project Mina Vårdflöden, and had published some of the results of this work earlier in 2015 in a paper called Living with Lung Cancer – Patients’ Experiences as Input to eHealth Service Design, but frankly living an experience and hearing about it are two very different things. Most of the results from our study however I am all too familiar with right now; the waiting for diagnosis, the lack of communication with healthcare, the lack of coordination between healthcare professionals, and the lack of feedback channels to healthcare. I’m bound to return to some of these topics in later blog posts. In my own work within health informatics, I have definitely focused most (almost exclusively) on the last of these three navigational types – and this is also the part of the report where the authors identify the most room for improvement (at least in terms of identified action points). In my experiences as family of a cancer patient, I can relate to all of the three navigations that require a whole new set of skills and huge amounts of energy. With my background, I still tend to focus most on the latter – that’s where I feel I can be most useful, and I guess this is part of a coping strategy as well. Some of the quotes from the study stands out. I remember the first time during our cancer journey that a healthcare professional paused, looked at the four of us in the room (me, my parents and my sister) and asked how we were all coping with this emotionally, and we all broke down in tears. This was 8 weeks after we first found out about the tumours in his lungs (which turned out to be metastases from the original kidney cancer tumour). In our own study with lung cancer patients, a quote that has often haunted me during these past months is this. I believe we had the same feeling when treatment finally began after 8 excrutiating weeks of diagnostic examinations and discussions of different treatment options. Finally, we have received help. In Sandén’s study the focus was not on the diagnostic process, but it is identified as a future research area of importance. I couldn’t agree more, and based on both my previous research and personal experience I have plenty of ideas for eHealth services that can facilitate this process! This entry was posted in Consumer Health Informatics, Patient experience and tagged #blogg100, cancer, Patient empowerment, Patient experience, Patient participation. Bookmark the permalink.